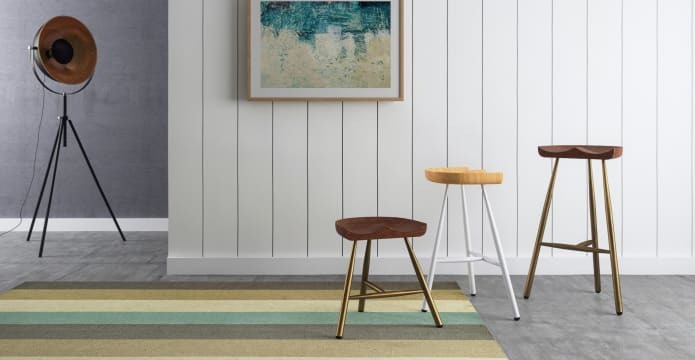 Take a step onto the stylish Puri Small Wool Rug. This piece will please your feet as well as your eyes, as it artfully combines cool shades of aqua against earthy browns. Homes can be messy places. Luckily the Puri is made from wool, which is a naturally stain and moisture resistant fibre. That means less time cleaning and more time enjoying your beautiful rug! 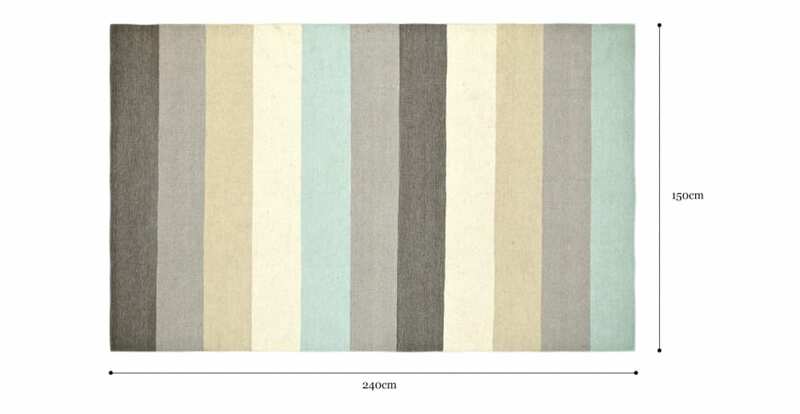 See the complete rug range from Brosa. This flat-weave favourite has been sourced from India, which is home to some of the best rug makers in the world. The Puri is low shed, lightweight, and will last over 20 years. The Puri is designed to deal with heavy foot traffic areas of the home. Show it off and make your halls or living areas instantly more stylish!